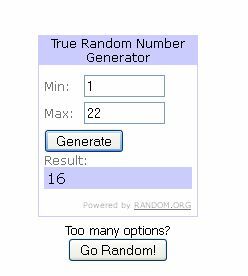 MissMuffcake: Congrats - We Have A Winner! Congrats - We Have A Winner! Congratulation to JoJo who blogs over at http://veganinbrighton.blogspot.com/ for winning the vegan Easter basket contest! I just hope it makes it to England in time! Thanks to all who entered and be on the look out for another rad giveaway in June in time for my birthday! I'm really excited about this, I can't wait to get my package of goodies! Look At The Goodies I Received! Vegan Easter "Basket" Giveaway! CLOSED!!!! Friday Is Now Known As Vegan Pizza Day!